French photographer, Thibal, of Thibaut Chéron Photographies, set up and shot this delightful image of all the color pencils in the pencil box laid out in a pointed circle. Look how well they all get along with each other…if one was missing, it would look incomplete. 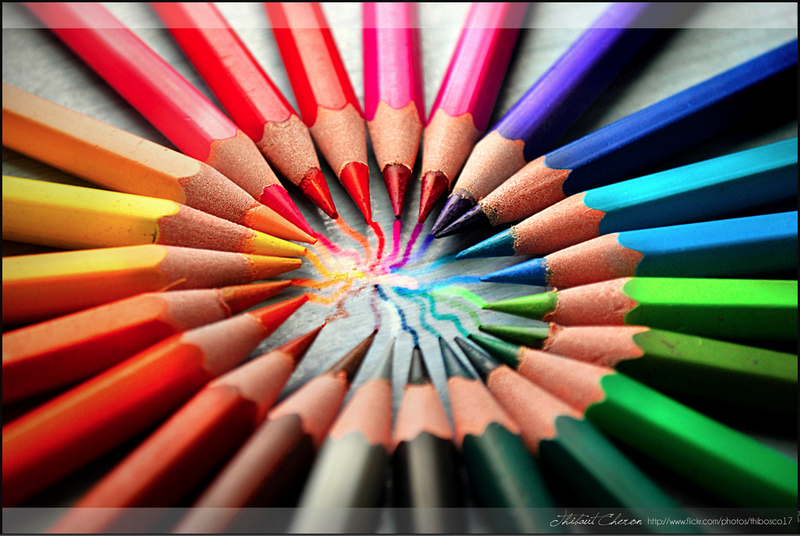 And notice how, when you look at the wood sections of the pencils, it forms a beautiful neutral-color circle as well. You can view more of his amazing photographs via his flickr site. Thibal’s photo encourages us to use all of our colors (skills/talents/tools) because, collectively, they make harmonious art (life/experience/world).